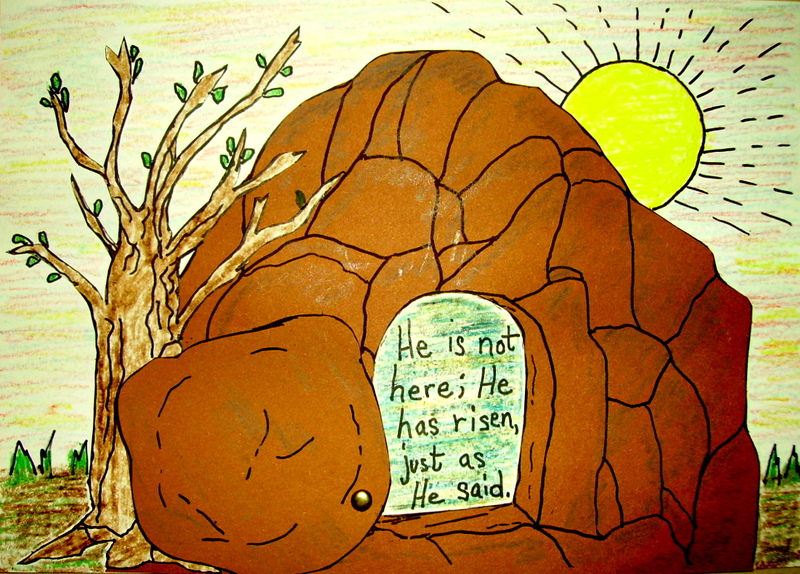 The empty tomb—He is risen!! This project has a boulder, which is attached to the tomb with a paper fastener. The boulder can be left closed before Easter and then opened at Easter to revel the empty tomb with the message, “He is not here; He has risen, just as He said.” The supply list and directions for this project, “The Empty Tomb,” can be found in the 2nd Grade Projects Gallery in the sidebar. This entry was posted in 2nd Grade, Categories and tagged 2nd Grade, arts and crafts, arts and crafts for kids, childrens lenten crafts, Easter, easter empty tomb craft, easter project for kids, empty tomb, he is risen, lenten crafts for kids to make, lenten project for kids, the empty tomb. Bookmark the permalink.